Muncie IN – Shafer Leadership Academy would like to announce that Mitch Isaacs has been named Executive Director for the regional leadership academy. Isaacs succeeds Richard Crist, who announced earlier this year that he was stepping down from the position he has held since 2009. He will focus more time on his role as COO with Whitinger & Company and leading the firm’s business consulting division, Whitinger Strategic Services. 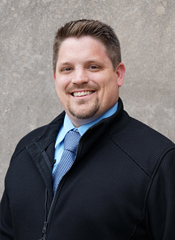 Isaacs has 16 years of college leadership experience spanning three campuses. He graduated from Ball State University in 2002 with a double major in History and Political Science and a minor in Counseling Psychology. Mitch completed his Master’s degree in Student Affairs and Higher Education at Indiana State University, where he worked as an Assistant Residence Hall Director. Mitch returned to Ball State in 2005 and served as a Residence Hall Director for three years. In 2008, he became the Associate Director of Student Life, working with the Excellence in Leadership program, Civic Engagement, and the Leadership Studies Minor. In August 2013, Mitch took a new position at Ball State as the Retention and Graduation Specialist for First Time Freshmen. Mitch is happily married to his college sweetheart, Becky. They have two boys, Charley and Wilson. Mitch’s passions include comic books, science fiction, wrestling with his boys, and cheering on the Indianapolis Colts. Isaacs will take over as Executive Director on June 8th. To learn more about Shafer Leadership Academy and the programs offered, visit www.shaferleadership.com or call 765-748-0403. Mitch Isaacs has been named executive director of Muncie-based Shafer Leadership Academy. He has 16 years of college leadership experience and most recently served as a retention and graduation specialist for first time freshmen at Ball State University.